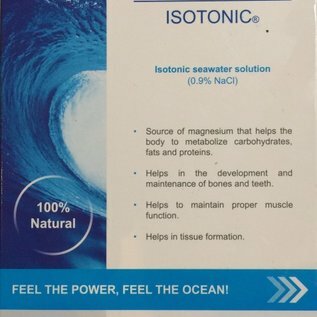 ACTIMAR® ISOTONIC, Pure Marine Plasma is not only efficacious but also safe for a smooth electrolytes, minerals and trace elements intake. 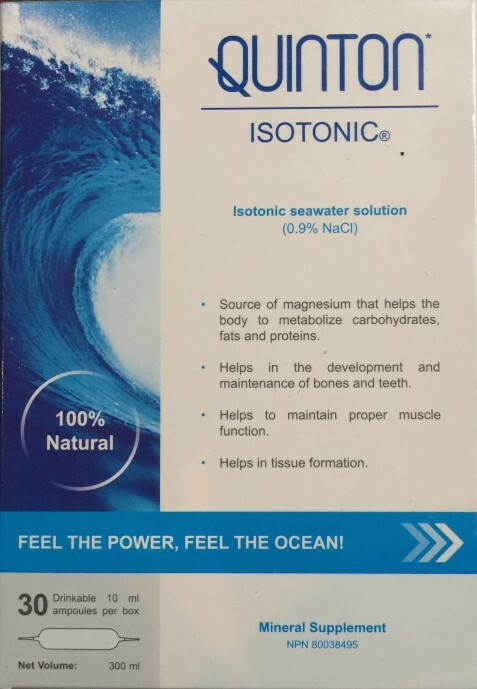 ACTIMAR® ISOTONIC contains about 3 times less sodium than the hypertonic formula. ACTIMAR® ISOTONIC builds directly on Archibald Macallum, René Quinton and Jean Jarricot discoveries and works with a perfect mineral balance, ph and osmolarity. It is the formula of choice for a balanced and gradual nutrient intake. Helps maintain optimal hydration and acid-base equilibrium.